D.R.E.A.M.S. 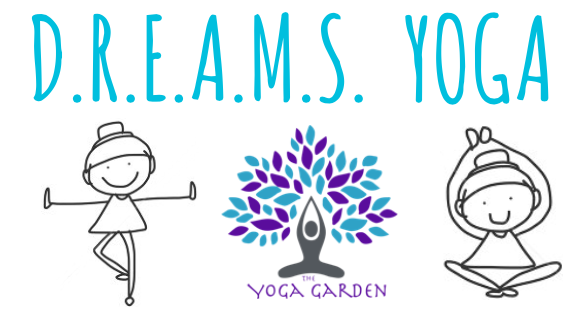 Yoga offers fun & interactive class that improves body awareness, enhances concentration, promotes self-esteem & confidence through stories, sounds and stretching! The classes will be held on Thursdays from 4:30-5:15pm at The Yoga Garden (2513 Johnston St.) and last 6 weeks per session. The session price is $60. Do you think your child or loved one would be interested in D.R.E.A.M.S. Yoga? To join the fun, fill out and submit the online registration form below! The new session begins soon! By checking this box, I the parent/guardian consent to the terms below. As parent or guardian of the registrant, I agree to abide by the rules and regulations set forth by the DREAMS Foundation of Acadiana. I hereby release, discharge and/or otherwise indemnify the Foundation under these civil entities, the sponsors, its employees, volunteers and other associated personnel against any claim by, or on behalf of, the registrant as a result of the registrant’s participation in the program and/or being transported to or from the same, which transportation I hereby authorize. As the parent or legal guardian of the above named player, I hereby give my consent for emergency medical care and transportation prescribed by a duly licensed Doctor of Medicine, or Doctor of Dentistry. This care may be given under whatever conditions are necessary to preserve the life, limb or well-being of my dependent. I also understand that I am financially responsible for such consented emergency measures. I grant permission to the D.R.E.A.M.S. Foundation of Acadiana to use my/my child’s photograph and video, including those previously taken, to release to any newspaper, television program, radio program, or internet site as part of sharing the good work that the Foundation does and/or publicizing my child’s accomplishments. I understand that pictures may be taken of me/my child at any event or activity held by the Foundation, and grant permission for any such pictures to be used in the promotion of Foundation activities and related programs and events. By clicking submit, you will be brought to our PayPal page.